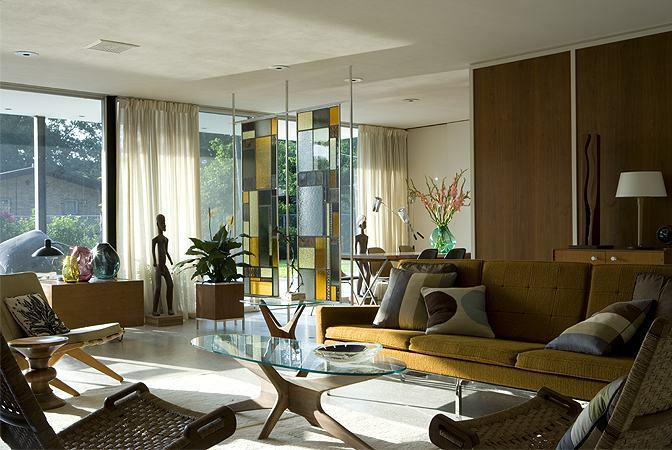 Andrew Weaving is a successful author specialising in Mid-century Modern architecture and design. 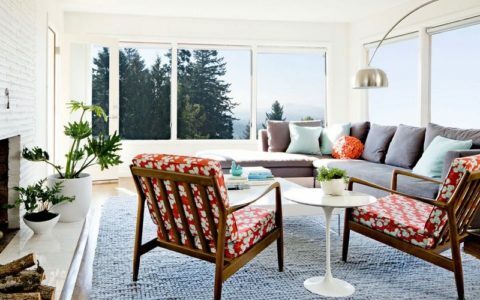 He has written several titles on the subject – ‘Modern Retro’, ‘Sarasota Modern’ and ‘Living Retro’ to name a few. 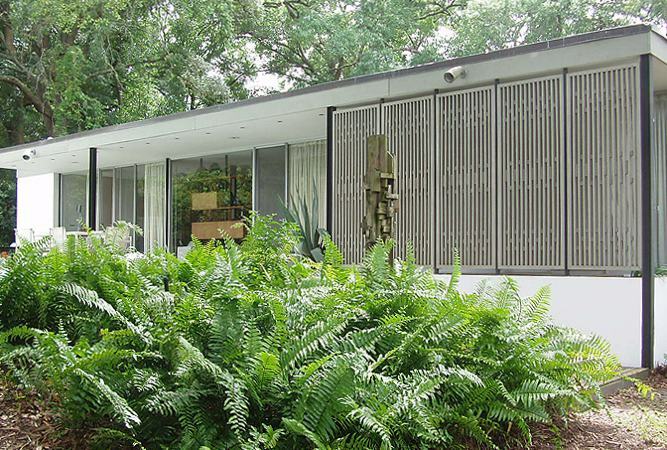 As a Mid-century Modern expert, he is also an avid collector and lives in a house designed by architect Mark Hampton (who founded the Sarasota School of Mid-century architecture together with Paul Rudolph and Gene Leedy) in the famous Mid-century neighbourhood of Sarasota, Florida. 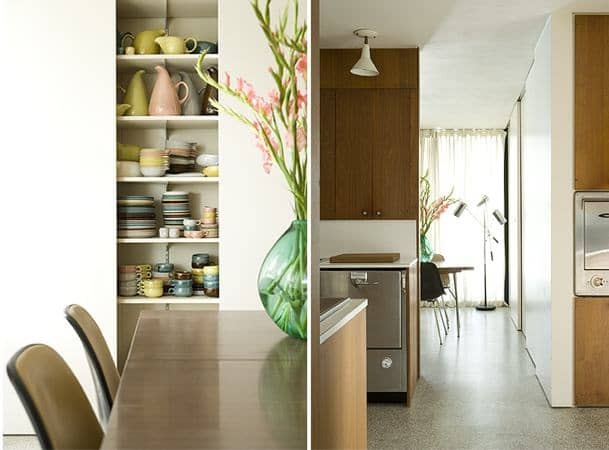 We had a chat with Andrew about his house, how he fell for it immediately and about his passion for Mid-century Modern architecture. MCH: Hi Andrew, tell us a bit more about yourself and how you came to live in this house. How long have you been living there? Andrew: We have had the house for about ten years now, the house really drew us to the area. 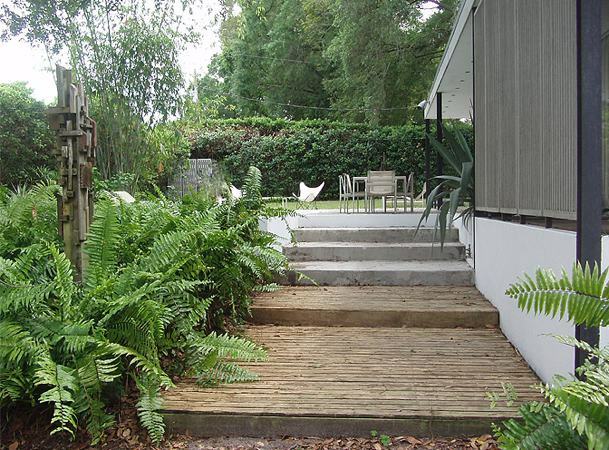 We used to own a house by architect Gene Leedy, in Winter Haven. Initially we tried to buy a house on the West Coast, but at that time we couldn’t find anything. After seeing an article on Gene Leedy in Wallpaper magazine, I tracked him down. He told us that there was a house he designed in the 50s over the road from where he lived, and it was for sale. We bought it without even seeing it and that’s where it started.At that time I had written my first book ‘Modern Retro’, so as far as the neighbours were concerned, I was the famous author! MCH: One of your books is ‘Sarasota Modern’, which is about the well known Sarasota community in Florida where many Mid-century Modern houses were built and your house is also located. Tell us a bit about Sarasota and your book, why have you decided to write it? Due to living in the Leedy House, hearing so many stories from him and discovering all the other buildings built by the other architects in Sarasota, it was sad to see so many being torn down and or altered. The idea of the book was to try to catch as much original stuff while it was still around. 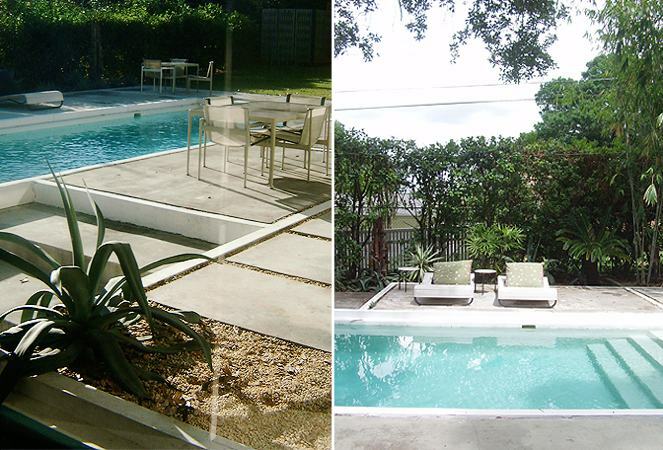 Martie Lieberman in Sarasota helped a great deal with access to the homes, so it was a great project. MCH: Did you find your actual house whilst doing research for your book, or else, how did you come across it? Just as I was finishing the book, I found the Hampton House advertised for sale at some ridiculous price, but we went to view it and were blown away with finding it in such original condition. It was almost sold to be torn down but somehow this didn’t happen, the price came down and we managed to buy it! MCH: Which are the biggest benefits and challenges of living in a historic house? We were lucky with this house. Being so unaltered and so well maintained. We bought it from the original family who commissioned it. When we closed on the house, Mark Hampton came to see it and he couldn’t believe that it was so intact, we were very lucky. MCH: Which architectural features of the house do you enjoy the most? We enjoy everything about the house. The simple open plan layout, that can be closed off when needed, the finishes are great and the lighting is just so modern. 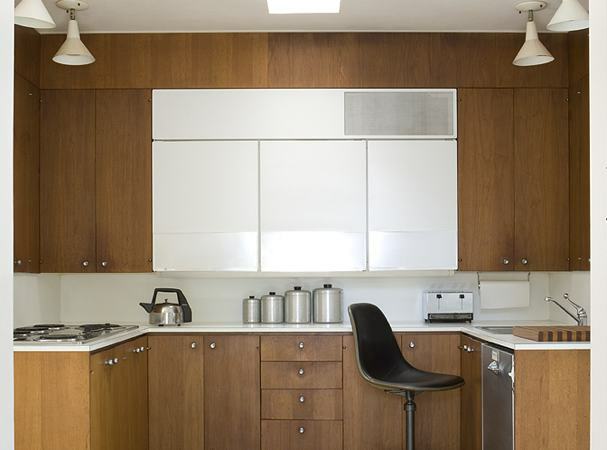 There is a great storage, the bathrooms are so glamorous and the kitchen was so advanced for its age. MCH: Did you do any renovation work? If yes, what did you do? If no, is there anything that you feel could do with an update? We didn’t have to do anything. The only thing we did was put in the pool. We worked with Hampton on this and replicated detailing used on the small pond to create it. It looks like it has always been there! 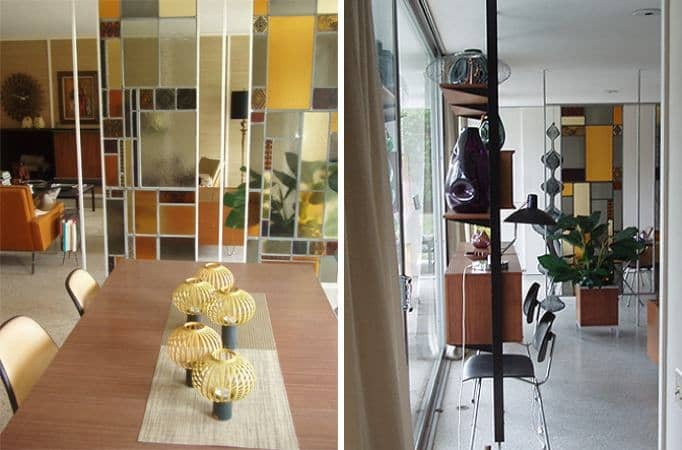 MCH: Your house is beautifully decorated with Mid-century Modern pieces. Did it came with any original furniture? Where do you like to shop for your furniture? When we first saw the house, it was empty. One of the grandchildren inherited all the furniture. Without any thought she sent all the contents to David Rago auctions. I regularly attend these auctions and just as we were closing, the items came up for sale, so we managed to get some items back. The most important part of the house, the steel-glass panels were also removed and put in the auction.Luckily we got them back, without these the house would not be the same. We bought all the other items over the years, trying to furnish it as it would have been when built. MCH: Every day we see contemporary houses and buildings that are clearly inspired by the work of Modernist architects. How big do you think their legacy still is? 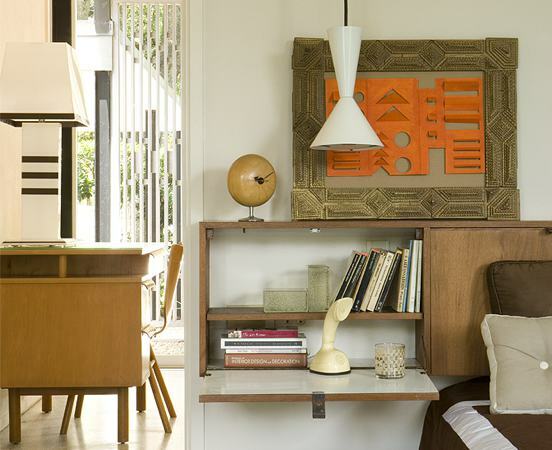 So much today is inspired by the Mid-century movement. It is kind of sad in a way that so much being reproduced, while so much original stuff is being destroyed. Things are changing though with so much more information available via the internet. It is also quite disturbing how it seem that everyone seems to think that they are experts these days. 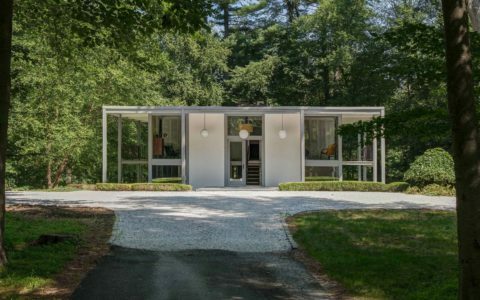 It is however very questionable when people post things on certain blogs, Facebook and other sites where things are obviously out of place and where everything is labelled Mid-century Modern, when it certainly is not. 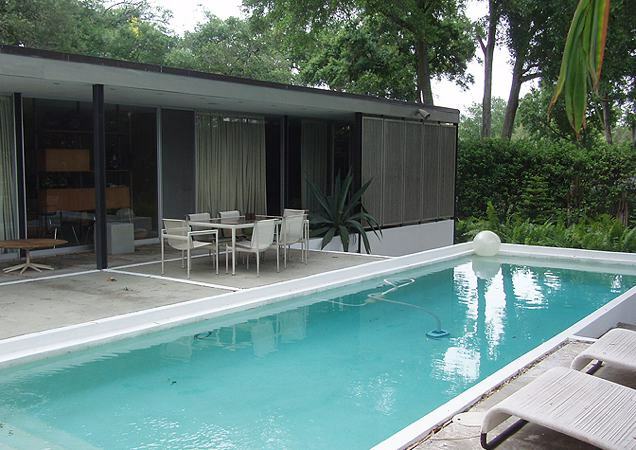 MCH: If you could live in any other famous Mid-century Modern house, which one would you choose? 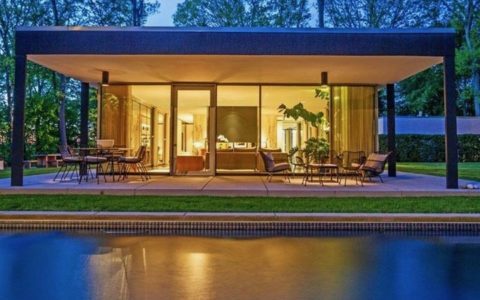 I did always want to live in a Neutra house but, with all the research I do, I find them all the same. Ok, some are in great locations, but our (Hampton) house has so much to offer. It’s unique, includes so much new stuff for when it was built, is a great house to live in and entertain and is also in a neighbourhood. Andrew’s house is available for short stays at Boutique-Homes.